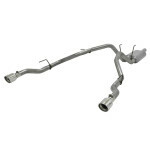 Need an exhaust for your Dodge Ram? 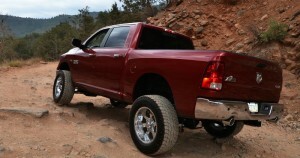 Check out our top picks below for the best exhaust systems for Dodge trucks. 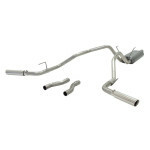 Whether you want more power or better sound, there are tons of exhaust options available. 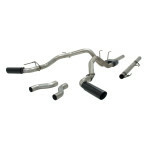 Sure, there are dozens of exhausts created specifically for your exact truck, but which one should you choose? We breakdown the top rated cat back exhaust systems into three categories: Aggressive, Moderate and Mild. You let us know how loud you want your exhaust and we’ll show you which brand to pick.